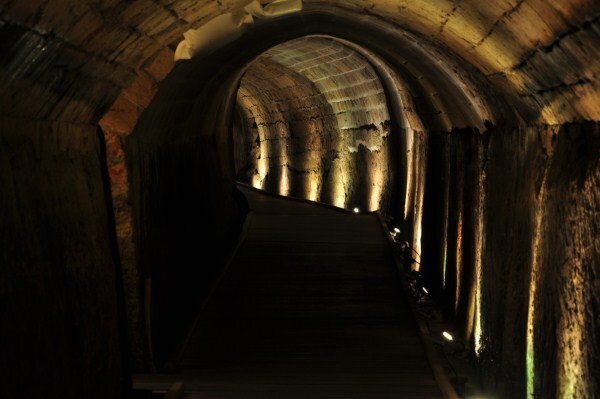 The Templars tunnel is an underground tunnel under Acre's old city streets. 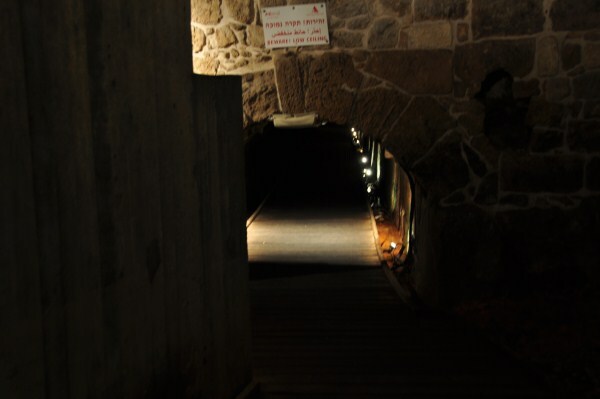 The tunnel leads from the Templars Palace which was destroyed in 1921 and in the sea up to Acre's port in the east. 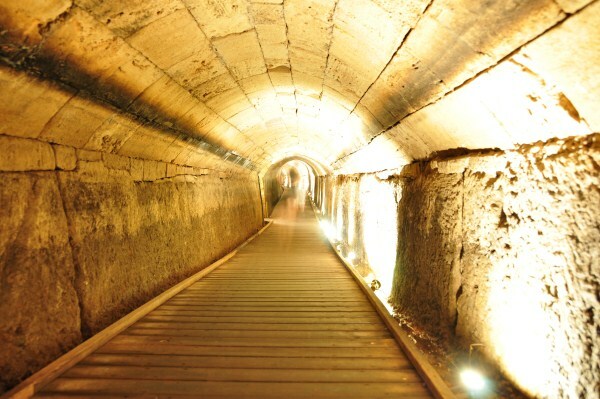 The tunnel was built in the late 12th century as a stratigical underground route used by the Templar monastery who moved to Acre after Jerusalem was conquered Salah A-Din. 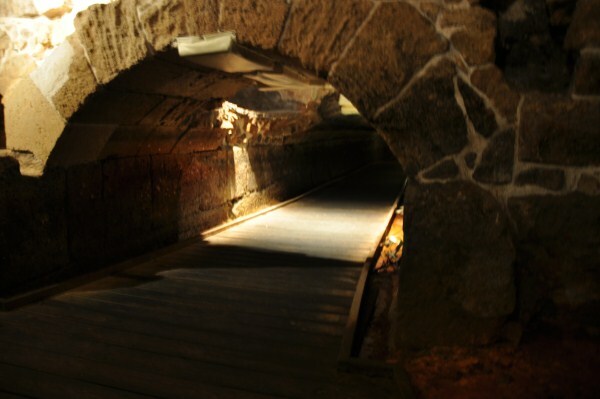 The tunnel in 350 m' long and is under most of the historical Pisani Quarter of the old city. 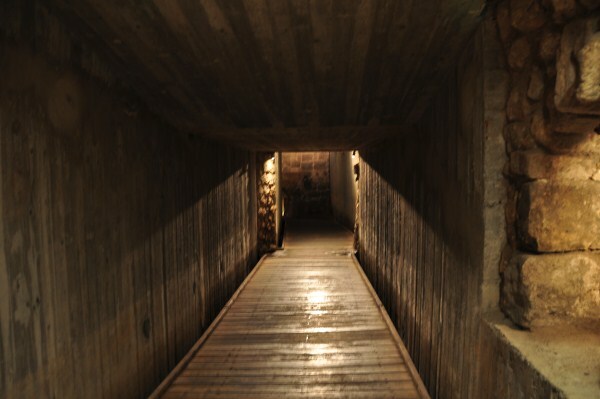 The tunnel was only found in 1994 randomly after the residences of a house situated above it of a blocked drain and once checking the blockage the tunnel was found. After archaeological digging it western part was opened to the public in 1999. 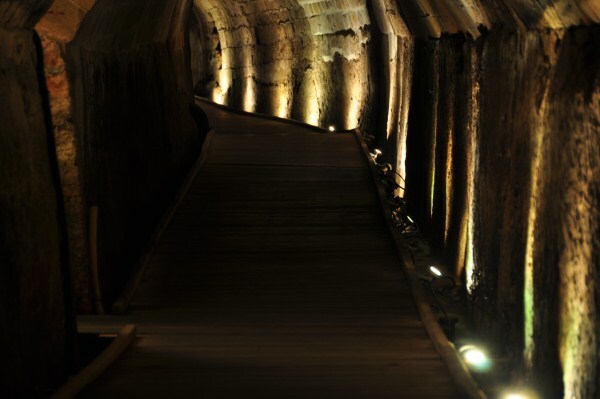 A wooden floor and lights were installed along the two meter high tunnel. There were two entrances made for the tunnel which are not the original ones but they allow easier access for the public. 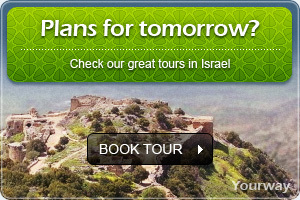 There is an entrance fee for both entrances, the one is near the western wing near the port and the other is near Khan A-Shona in the south part of the old city.